HomeSony Changes Ghostbusters & Uncharted Release Dates, While Announcing Dark Tower, Bad Boys 3 & 4, Jumanji, and More! Sony Changes Ghostbusters & Uncharted Release Dates, While Announcing Dark Tower, Bad Boys 3 & 4, Jumanji, and More! 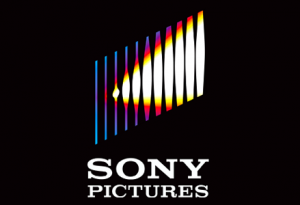 Sony Pictures Entertainment released its slate for the next two years and we have the current release dates for 21 films due in theaters. Some of which have remained the same, some of which have changed, and some of which were said to be in development. Some of the films revealed in the current schedule are pretty exciting, and none of the changes are too drastic to make us worried that Sony is dumping them. Check out the release dates for all the films below! Some really cool stuff is in store from Sony, which includes films that have been rumored, in development hell, or just plain remake head-scratchers. A few genre films we’ve heard were in development or just about to begin principle photography have gotten official release dates. The final virus/zombie/mutant film, Resident Evil: The Final Chapter, will close out the series in theaters on January 27, 2017. Kate Beckinsale will reprise her role as Selena for the fourth time in Underworld 5, due in theaters October 21, 2016, and the long gestating The Dark Tower will take over the slot vacated by The Magnificent Seven remake, and premiere on January 13, 2017. We’ve heard that a new Bad Boys film was being developed but Sony threw a curve ball. Not only are they developing a third film but a fourth one as well due on February 17, 2017 and July 3, 2019; respectively. Still no word on whether Will Smith and Martin Lawrence have been locked for the picture but it looks likely that they’ll be back. And in the department of remakes-no-one-asked-for, Jumanji, has been confirmed for a December 25, 2016 release date. Admittedly, it’s been 20 years since the first one, but I never thought it really deserved a remake. One of Sony’s most highly anticipated films for the 2016 season is Paul Feig’s Ghostbusters. Originally set for a July 22, 2016 release, it’s been moved up one week to July 15, 2016. The Magnificent Seven remake, which was given a January 2017 release date, has also been bumped up to an earlier release, and will now be in theaters on September 23, 2016. Uncharted, on the other hand, has been delayed by a full year, and has been pushed to June 30, 2017 from its original June 10, 2016 release date. Here are the films that have been previously given release dates and held on to them, just to round out the list.